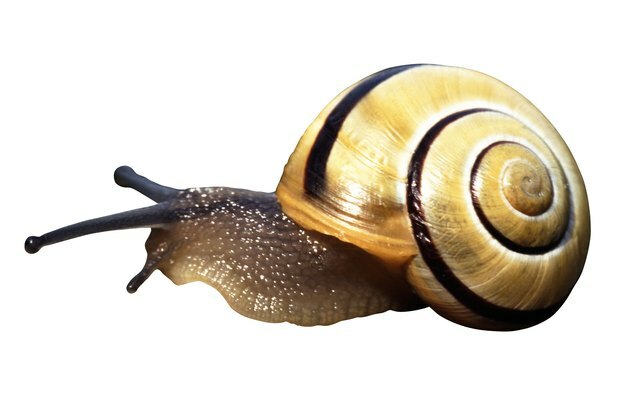 Snails and slugs slither through your garden, chomping on succulent plants and leaving a slimy trail in their wake. Snails are gastropods, which means "stomach foot," and they are most active in the coolness of the night. Getting rid of them can be tedious, but it is a simple process that uses household products you probably already have on hand. Snails may be considered a gourmet delicacy but not when they are in your garden. Killing the snails is easier if you can get them to congregate in one spot rather than having to search them out one by one. Lay a board scrap or a flower pot on the ground and prop up one side, or turn orange, lemon, lime or grapefruit rinds upside down. Leave them overnight, and you'll find a snail convention underneath in the morning, as they will look for shelter from the sun and the daytime's heat. You can use the vinegar undiluted, as the Gardens Alive! website suggests, or mix it with an equal amount of water. Plain white vinegar works well, but you can also use apple cider vinegar if that's what you have on hand. Put the acidic mix in a spray bottle, and you're prepared to do battle. All you need to do is spray the vinegar directly on the snails and wait. The vinegar will dissolve the snails, and you can spray the remains off your patio with a garden hose. Vinegar acts as an herbicide in some cases, though, so try to spray the snails after they've left the plants or you've picked them off. Generally, the vinegar will only affect snails when it is wet, but you can pour white vinegar onto dryer lint and place it around the garden to repel them. If you run out of vinegar before snails, pick them off the plants or scoop them from under your trap and stomp them. 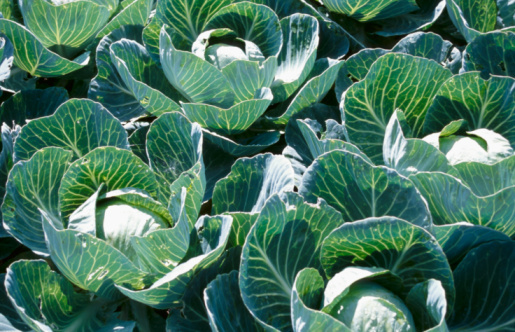 Deter their friends and family from returning to your garden with a few strips of copper around the plants, advises the University of California Statewide Integrated Pest Management Program, making sure the strips are too wide for them to arch over. Epsom salt may also offer some deterrent value.